Java advantages in 2019 — can we forget about C++? Let us guess. You’re sick of seeing those flashy titles like “Python is the best!”, “Make your app a rainbow with Node.js!” or even “C is dead”. You’ve heard quite enough of those trendy words and decided to create something bigger? Or tired of being a consumer so you ordered your developers around to carry out your vision of the future? And they offered you Java! Is that the one which is 20 years old?! Are you serious?! Well, big fella, Java is not that simple as it might at first appear. Java was designed to be simple enough that many programmers can achieve fluency in it. 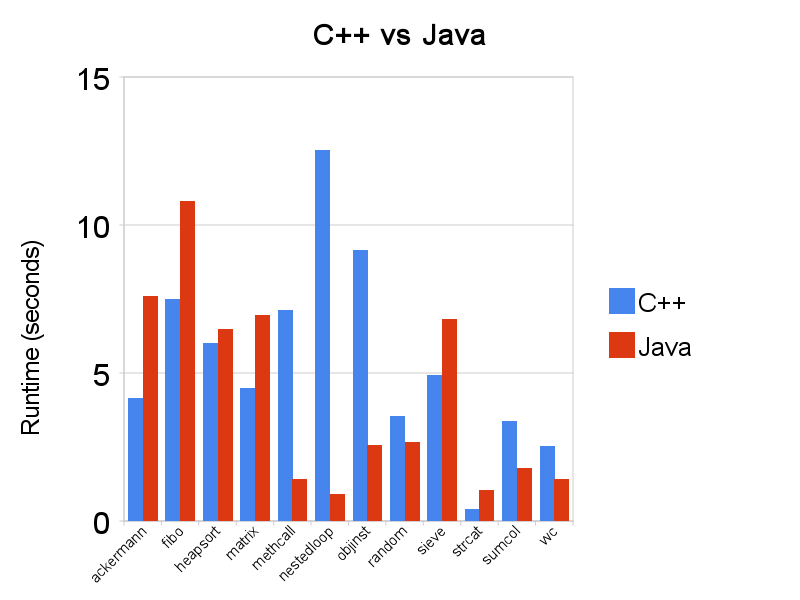 Compared to C and C++, Java is organized rather differently. The language assembles the key features of those with some omitted aspects and includes a few ideas from some other languages. Java was created in 1995 and within a short time became one of the cutting-edge programming languages. Over 20 years, Java developers have been increasing the usability and fixing the deficiencies. It certainly enhanced its functionality and made the language much handier. According to the stackoverflow.com survey, Java is used by 45.4% of respondents which makes it one of the most popular languages among the professional developers. Java programs run on a virtual computer, the JVM (Java virtual machine). It translates the source code written by humans into “bytecode” (optimized set of instructions) recognizable by the device and executes it. But still, JVM is platform dependent (for each operating system a corresponding JVM exists). In this way, only the magic of Bytecode makes Java platform independent. Yet, Java applications will run anywhere, whether it’s the mobile phone, PC, wearable devices (watches, glasses etc.) or your smart home system. One thing required is that the device contains the JVM for its specific OS you’re targeting. JVM emulators can be downloaded with ease and for free. They are available for most OS, including Mac, Windows, Linux or good old UNIX operating systems and are gradually being updated by the Oracle. So, as soon as you get a JVM specifically for your device, the pilot-test of the Java main principle "Write Once, Run Anywhere" is successfully passed. Owing to the standard class libraries, a programmer does not need to reinvent the wheel. He is already provided with all the necessary solutions and just assembles the required functional from them. If you’re a business owner, you’ve just saved your time and money on application development. Vertically means to add resources to a single node in a system, involving the addition of CPUs or memory to a single computer. Vertical scaling is also used to expand memory space. Too little memory will cause garbage collection (see ‘Robustness’ below) to happen more frequently. In the meantime, enough memory will keep the JVM processing your business logic most of the time, instead of collecting garbage. Horizontally means to add more nodes to a system. E.g. adding a new computer to a distributed software application (more machines or additional server instances/nodes are added). Customizing any application for a substantial number of users is not a problem with Java. Java is simple mostly owing to its ecosystem. 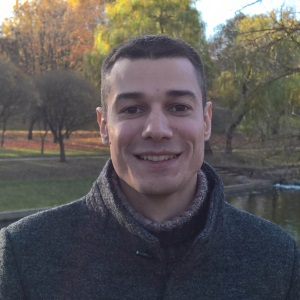 This language has been being improved since 1995 to the one we can see today: tons of good frameworks and diverse set of standard libraries make Java easy to use. In the same way, the Java ecosystem may be called stable and mature. Because the language evolves slowly, the code you see today when you look at the Internet is very similar to the code in previous years. This enables developers looking for solutions to figure them out easily. What is more, three of the world largest tech companies have vested interest in the success of Java. Recently these companies, namely Oracle, IBM and Red Hat agreed to work on EE4J, an open source initiative to push the progress of enterprise Java. So, in a few words the interest in Java is easily explained, still high and definitely shortens development time what gives hopes for impressive further upgrading. Java is tightly integrated with an extensive network library, called Java Class Library (JCL). Basically, this is a set of dynamically loadable libraries that Java apps can call any time. Because Java doesn’t depend on a specific OS, apps cannot rely on any of the platform-native libraries. Instead, the Java Platform provides a comprehensive set of standard libraries, containing the functions common to modern operating systems. The library includes standard subprograms for the GUI (graphical user interface), graphics display, networking etc. These programming libraries are unique and required part of the language and an integral part of Java's cross-platform compatibility, and simply ensure that time-consuming programming becomes faster on any platform your developers use. Mainly it allows programmers to describe data with help of structures that very similar to business domain objects. OOP makes it easy to maintain and modify the current code as new objects can be created based on existing ones. It makes the code reusable and saves development time. This question related to any of the modern programming languages is a real dispute. The history classes teach us that Java used to be much slower than C and C++ (because of JVM), but still has its own advantages as an improved version of both. For 20 years of engineering things gradually change, and today the statistics says that Java is slower than its forebears only by 15% (as opposed to 27%!). and a full comparison that is broken down by category with beloved Python and PHP. So, despite the criticism of the earlier versions, from the very beginning of JDK 1.1.6 to Java SE 10 things have significantly changed. 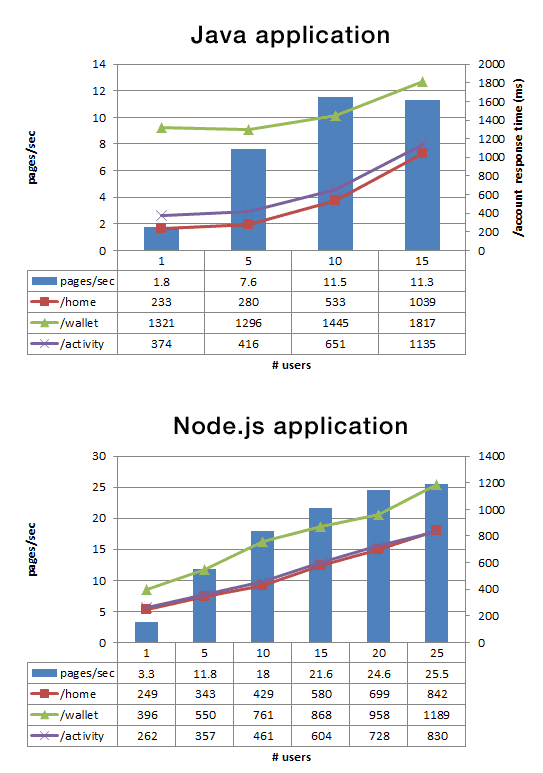 After a consequent updating, JVM became considerably faster and efficient. This and many other improvements make Java one of the most usable developing languages so far. We’ve already talked about Java standard libraries (threading, networking, GUI libraries and so on). But still, it’s crucial to use data that will be available for any platform you run your app on and Java does that. Above all, standard libraries, as well as frameworks, reduce the size of your class files (code can be extracted and moved elsewhere where it don't disturb anyone). The whole question is whether you can just transfer executable code to another platform and run it there or get a useless file. However, this situation is highly unlikely when using Java. As was told above, JVM is free and available for almost all platforms, OS’ and devices that exist today. This virtualization ability of Java generally improves the portability and reusability of application code and typically reduces the complexity of applications. Java applications generally run in such a virtual environment. For a programming language being robust means to handle unexpected termination and actions. Above all, it requires code to cope with those delicately by displaying accurate and explicit error messages. Managing the memory means allocation and deallocation of unused objects to and from apps. This process requires special care and attention. As for Java, the developer doesn’t need to undertake every effort for its fulfillment - the JVM, or, to be precise, the Garbage Collector (GC) takes care of memory deallocation and saves up some extra time for quality developing, plus decreases the possibility of errors and need for additional testing. This is exactly what protects your money from any unplanned expenses. Garbage collection is the process of looking at heap memory (large mass of memory intended for allocation of objects), identifying which objects are in use and which are not, and deleting the unused objects. An in-use (referenced) object, means that some part of your program still maintains a pointer to that object. An unused (unreferenced) object, is no longer referenced by any part of your program. So the memory used by an unreferenced object can be reclaimed. The biggest advantage of garbage collection is that it removes the burden of manual memory disposal from developers so that they can focus on solving the problem at hand. But how is that possible without the fly in the ointment? Unfortunately, the garbage collector has some disadvantages. 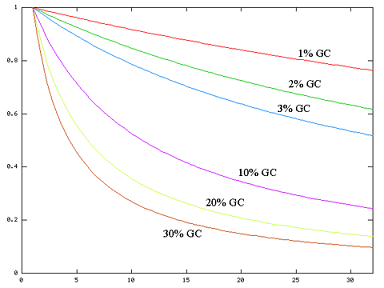 Whenever GC runs, it has an effect on the application’s performance. This is because all other threads in the application have to be stopped to allow the GC thread to effectively do its work. The graph illustrates the performance hit of GC suspensions with increasing number of CPUs. An application that spends 1% of its execution time on garbage collection will lose more than 20% throughput on a 32-processor system! To see more information dig in here. However, this problem can be eliminated through skillful optimization, garbage collector tuning and using different GC algorithms. Errors are detected at the early stage. When developing in Java, the compiler checks whether there are any compile-time errors and interpreter checks any runtime error and makes the system secure from a crash. Compile-time errors - the errors that are defined by the compiler at the developing stage. The software won’t be launched until those are solved. Runtime errors - appear and are detected during the software runtime. Java’s benefit here is that after the error was detected, we get a notification and the software goes on (worst-case scenario is when the software stops). Compare it to C++ where the whole system may crash. Static typing means checking variable types before the runtime. It increases the performance of applications and makes it easier to avoid mistakes in development because a lot of checks executed before code compilation. An exception is an event which occurs during runtime of a program and disrupts the normal flow of the program’s instructions. Note that exception is not an error. It contains the basic information of what to do when something unexpected happened and displays it separately from the code. There are two types of exceptions: built-in and user-defined. The difference is obvious: built-in exceptions are available in Java libraries, and the user-defined are used when the above-mentioned are not able to describe the particular situation. The advantage of exceptions is that they do not give errors a chance to escape, spinning them from method to method until the issue is resolved. It helps developers write “clean” code much faster. Because Java security features were built into the JVM, running programs can access memory only in safe and structured ways. This helps make Java programs robust but also makes their execution more secure. Above all, automated garbage collection (see “Robustness” point), as a crucial part of memory management in whole makes memory check and deallocation much easier for the developer and removes the cause for classic memory leaks: unreachable-but-not-deleted objects in memory. Programmers that write code in a strongly-typed language do not have to worry about many kinds of bugs. 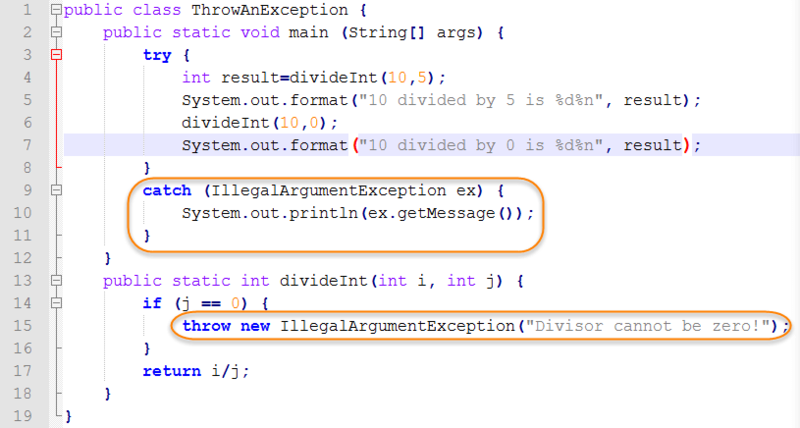 Above all, Java detects common programming errors at compile time. Compile-time checking finds bugs faster than the runtime and leads to more robust code and less memory corruption. Plus runtime type checking may slow down the program. As we’ve described before, an exception is a helpful safety feature that allows getting a description of any unexpected event that occurred at runtime. Java applications can be analyzed at the bytecode level that is the standardized intermediate representation of Java applications. This function is a built-in language security feature that is enforced by the Java compiler and virtual machine. Bytecode verification ensures code conforms to the JVM specification and prevents hostile code from corrupting the runtime environment. These Java security features as a whole reliably prevent many hard-to-detect errors which are typical in C and C++ applications in so providing a safe and secure platform for developing and running applications. While programming expands its boundaries, a plethora of modern development languages conquer the audience. Even so, Java remains at the forefront. This language is great when it comes to Android applications and web development, but it also successfully applied in various fields. Java is secure and robust and its main features promise loyalty and confidence. Undeniably this language has its Achilles’ heel. But it does not discourage millions of people which have chosen it. I head the Java team on complex enterprise projects.